Let's compare ingredients that are in a "typical energy drink" and REZ. At a quick glance, a "typical energy drink" contains many words that you may never have heard of before: ginseng, taurine, guarana, ginkgo biloba and carnitine. REZ, however, is only made with two words that you may be unfamiliar with- "plant-based glucosamine" and "turmeric". Without going into detail about the unknown ingredients in a "typical energy drink" we can sum it up by saying that they are ingredients that are meant to boost energy levels both mentally and physically, but for the most part, it is not great to drink excessive amounts of these because they have negative effects on the body. Turmeric is a very common herb and the most powerful, too. The golden-colored spice has a pepper-like aroma and sharp taste. 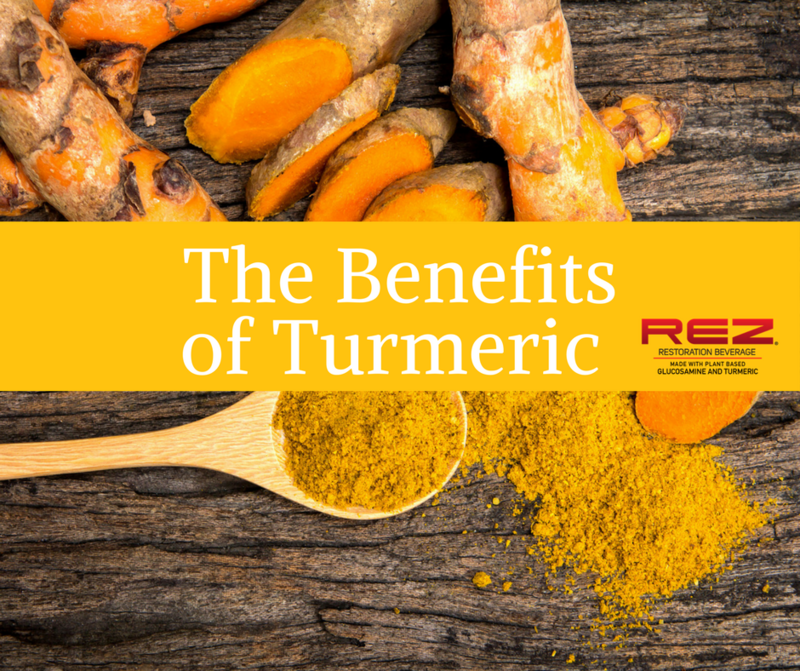 Turmeric’s use is not only limited to adding flavor to many dishes but Turmeric benefits your health too in numerous ways owing to its rich nutrient content. Curcumin (the main active ingredient in turmeric) boosts brain-derived neurotrophic factor, linked to improved brain function and lower risk of brain diseases.